NewYoungMum - I have followed Alice's blog for years now and it is the place to go for outdoor adventures, crafting activities and beautiful photos. Despite having a bit of a blogging break earlier in the year, Alice came back with a new mind-set and I've loved her content even more since. Blogging for me...not for you! Mummy Daddy Me - Katie provides all the travel and photography inspiration on both her beautiful blog, Instagram and YouTube channel. A braver mummy than me, Katie travels all around the world with her three children and it is so exciting following each family adventure. Let's Talk Mommy - Jenny recently announced that she is expecting her third baby, which is just so exciting! Weekly pregnancy updates now feature on her blog, along with lots of seriously cute photos of her son and daughter, interior inspiration and recipes. Write Like No-One's Watching - I first came across Charlotte via her YouTube channel and loved her friendly demeanour, honesty and inspirational outlook on life. Charlotte is also pregnant with her third baby and I'm just so excited to follow her journey again. She writes the most beautiful blog posts about her life, motherhood and family; you really must go and have a read, if you haven't already. What Katy Said - A beautiful blog filled with family adventures, recipes, children's style and motherhood topics. I love Katy's writing style, her photography is always on-point and the product reviews are thorough and informative. One blog post that really stood out to me in 2017 was 'I'm sorry but my kids just aren't naughty', in which Katy wrote about how there seems to be a certain level of social pressure to acknowledge that our children are a 'nightmare' when actually that isn't her experience. Instead of feeling like she should say that her children are naughty, Katy is being proud of how well behaved her children are. Such an honest post and one I can partially relate to. Life with Mrs Lee - After giving birth to her son Hugo around the same time as Poppy, Harriet's blog has been one I've loved following. She also has a beautiful daughter called Bella, so between us there are quite a few similarities. Harriet works extremely hard, which you can really see when it comes to her social media channels and blog. Mum in Brum -Natalie writes straight from the heart and that's why I love reading her blog. It's filled with beautiful photos, honesty about motherhood and interior inspiration. Natalie's baby boy is a similar age to Poppy, so it is nice watching them grow up and reach milestones at around the same time. When did our toddler start calling the shots? Bump to Baby - Alex is another blogger who I've followed for years now, watching her family grow and sons get older. With a real eye for photography, Bump to Baby is filled with inspiration, advice and family memories. It's the perfect place to follow Alex's family adventures, along with her YouTube channel where you can watch vlogs, interior inspiration and mummy tips/tricks. Life as Mum - Beth has always been such a supportive blogger, not to mention her incredible photography and clear passion for writing. Approaching issues within motherhood with an open and honest attitude makes reading Beth's blog feel like you're chatting with a friend. It's comforting and informative at the same time. Hot Pink Wellingtons - Katy gave birth to her second son very close to Poppy, so Hot Pink Wellingtons has been another blog I've loved following. When you share your pregnancy journey with fellow bloggers that in itself is very special, but then watching their child hit milestones, learn new things and grow is incredible. Katy' blog is just beautiful, filled with stunning photos, #SharingtheBlogLove linky and so many fun family adventures. Life Unexpected - This is the blog I turned to on a daily basis on the run up to our family holiday to Cornwall, back in September. Chloe has filled her blog with so many fantastic places to visit, eat and stay in Cornwall, as well as stunning photos and #LittleLoves. If you live on the south west coast or planning a trip there, then I'd highly recommend checking out Life Unexpected. Putting all of these together has made me realise that there is certainly a theme to the blog's I love - honesty and beautiful photography. If you like these things too then I'd highly recommend losing yourself in these inspiring blogs. Which are your favourite blogs of 2017? I love Hot Wellingtons! He two boys are so sweet! Well, I also like Katy and Chloe's blogs :) Great reads and there are some I don't know yet and I need to check them out! Aww this is a lovely post, always nice to see other bloggers supporting each other. 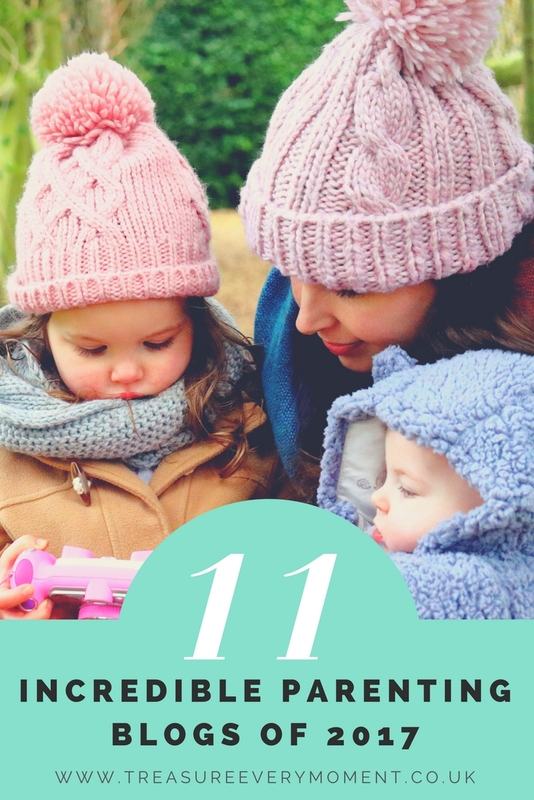 I love parenting blogs and have visited most of these blogs already but there are a few new ones I haven't come across before so will be chekcing those out. Happy new year! All the blogs here sound great. I like Chloe's blog a lot. You've got some fantastic blogs featured here! I tend to follow a lot of finance blogs myself! Happy New Year! I love all the blogs featured and yours too. Your all full of beautiful photos and writing that i can only dream of producing. Happy New year. Some excellent blog choices here and a few new ones for me to explore! Great picks! I will have to check them. Thank you so much for including me - it really made my day to see my blog alongside so many of my own favourites. I've loved finding people who were pregnant at the same time as me - you're right, there's something really special about hearing their stories. I've loved following yours and loved following your blog since. Thank you again! Awww so nice to feature the blogs you love. There are some definite winners in here for me too!